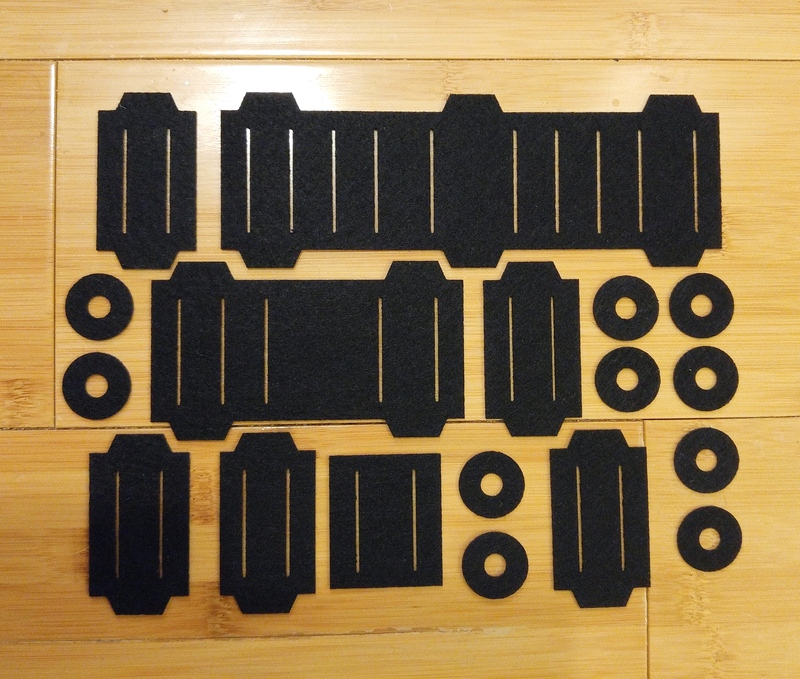 This set of brand new, laser -cut acrylic felt slider dust protectors (also known as dust shields, dust curtains, or gaskets) includes all of the pieces needed to replace those on both the main panel and the Bender panel of a Roland Jupiter 8 synthesizer, including all switches. 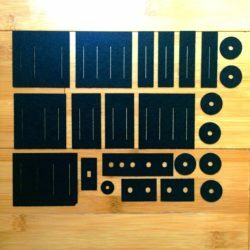 They are made to exact specifications on a professional laser cutter out of 1.5mm stiffened and resin-bonded black acrylic felt which does not shed fibers like other forms of felt. 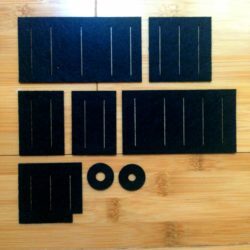 This listing is for a set of brand new, precision-cut acrylic felt slider dust protectors (also known as dust shields, dust curtains, or gaskets) for a Roland Jupiter 6 synthesizer, to replace the old ones that are prone to drying out and distorting and tearing. 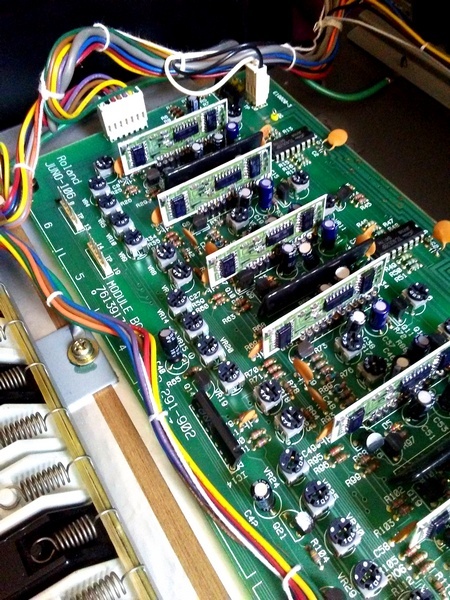 The set includes all of the dust protectors needed to replace those on both the main panel and the Bender panel, including all ring gaskets for all potentiometers. These gaskets are made to exact specifications on a professional laser cutter out of 1.5mm stiffened and resin-bonded black acrylic felt which does not shed fibers like other forms of felt. Why use acrylic felt instead of just using the material that Roland originally used? 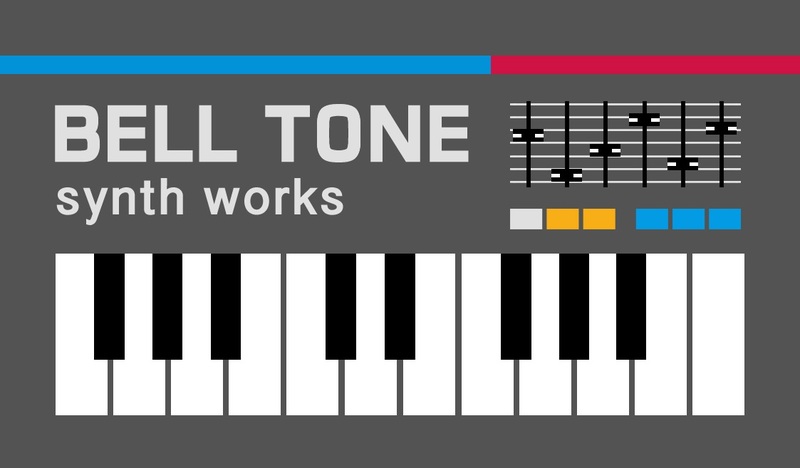 Unlike the synthetic EVA rubber that was used for the originals, this felt will not break down and lose its integrity over time, so your synth’s sliders can stay dust-free and looking sharp for decades to come. 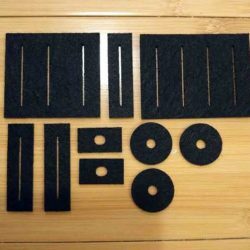 Acrylic fiber was invented in 1941 and as a former vintage clothing dealer, I have encountered acrylic fiber garments made in the WWII era that haven’t lost an ounce of structural integrity. 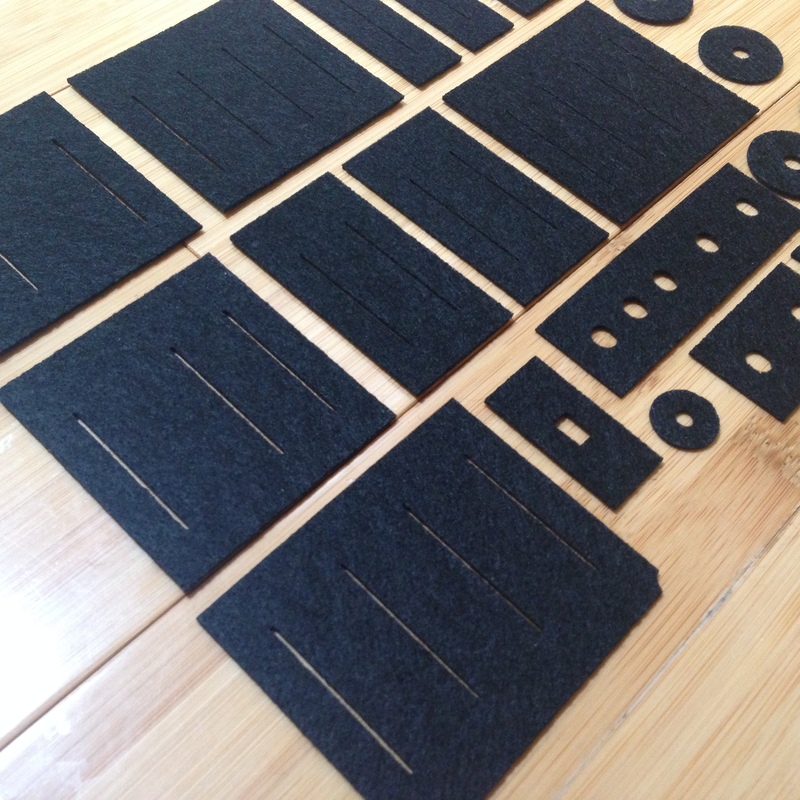 Furthermore, the laser melts the cut edge as it cuts each slit or hole, effectively cauterizing it so that there are no loose fibers to fall into the slider opening. 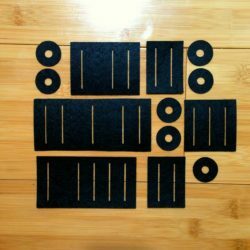 The gaskets can be secured with epoxy or double sided tape and will be sent with an instruction sheet with tips for successfully installing your gaskets.